Manitowoc Cranes has announced the second winner of its prestigious Dealer Awards during Intermat in Paris, France. Matebat won ‘Best Sales Progression in 2017’ after an exceptional sales performance last year. 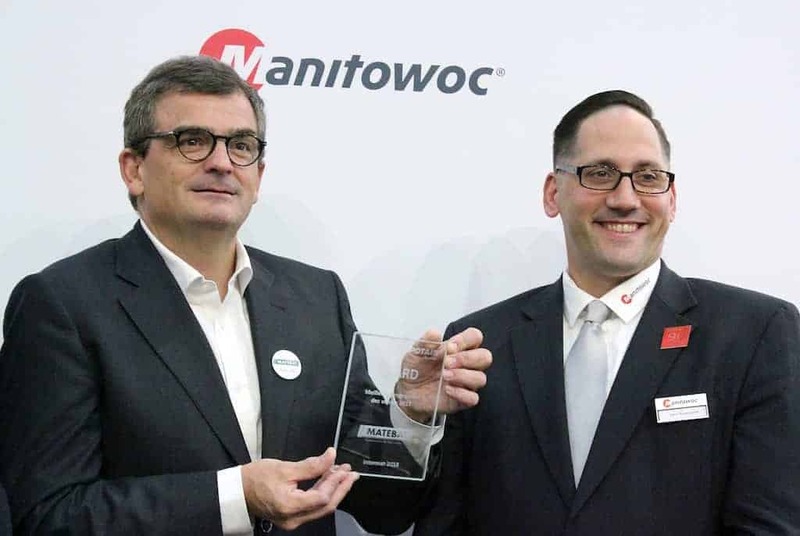 Philippe Cohet, president of Matebat, was presented with the award by executive vice president of Manitowoc Cranes, Aaron Ravenscroft. Matebat was established in 1982 and has represented Potain since 1992. It is the largest rental company for tower cranes in France, with over 250 employees and 12 service centers across the country.